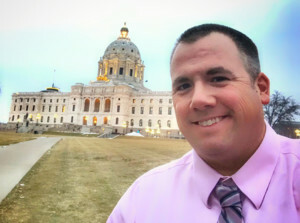 The writer will be visiting the Capitol several times in the coming weeks, predominantly in his role as a professional teacher, but many of the ways he feels Minnesota can continue to make progress are intertwined with our state’s education system. Three years ago, I was deeply honored to deliver a speech at the DNR’s Angler and Hunter Recruitment and Retention Summit. As far as speeches go, those in attendance received it well. The goal of any speech is to contribute to an ongoing dialogue, provide unique perspectives, bring more ideas to the conversation, and challenge the audience to take action. After reading remarks from newly appointed DNR Commissioner Sarah Strommen, I was inspired to revisit my 2016 speech and decided that I would refresh and restate some of my points. Three years feels like a long time, but when I consider some of the hopes and dreams I shared, little has changed. One of the points I was most proud of making – and was worried the most about response – was when I urged conservation groups to recruit hunters and anglers from the largest groups of new Minnesotans, most of whom were (and still are) people of color. I said, “Please continue to, and expand what you are doing, to specifically meet with them to find out what they know and would like to know about hunting, fishing and the outdoors in Minnesota. If it’s part of our state’s heritage, then it should be part of our process of folding everybody together into a symbiotic relationship. Some groups of people already have it as part of their heritage, while others do not. A national and more localized dialogue has taken place around these points over the last three years, and while some would say that we are more polarized now than we were back then, I also want to believe that more people are seeing what was invisible to them three years ago. How have you responded? Have you tried to defend what you believed not to be a problem? Or have you sought to understand viewpoints other than your own? In the three years since I said all that, the needle has moved a bit. I wish I could take some credit, but I will not. The credit goes to those who have intentionally carried that torch forward and continue to look for ways to be even more intentional. The needle has not moved far enough, however, and I urge the current DNR commissioner to use her bully pulpit and nudge it further. I believe she’s already started on that path, and now it’s time for leaders of state conservation groups to further state their case. I also invite Minnesota Education Commissioner Mary Cathryn Ricker to join the conversation and see how our schools are full of young people who would greatly benefit from a closer connection to the outdoors that are vital to our cultural heritage. Let’s make outdoor skills part of the state physical education standards in a way that spirals them from the younger grades on up to high school. Is there a way to provide training and planning opportunities for teachers and community education programs to coordinate with local conservation clubs and outdoor organizations to foster partnerships? Likewise, work with middle schools and high schools through subjects like math, biology, geography, history, economics, government, to serve as speakers and use real-world examples from the field. It also might make sense to change the firearms safety certificate program to an “Outdoor Safety Certificate” to make it easier to get more of those programs into the schools. The National Archery in the Schools Program (NASP) has been a tremendous success and it’s an opportunity underutilized to present bowhunting as an effective, humane, and truly organic way to obtain meat for the table. The Minnesota State High School Clay Target League has experienced tremendous growth in recent years, but is it translating into more duck and pheasant stamp sales? 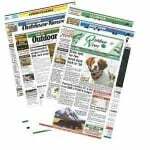 Are there more grouse and turkey hunters roaming the woods? Minnesota needs to invite and support rather than mandate schools to promote the outdoors. This is needed by all the entities out there, including local clubs and statewide organizations. You don’t have to do it all yourselves, but how can you start conversations between that local club and the middle school? How can volunteers at the local range work through the district’s community education program to get high school kids to learn gun safety? Let us continue to tie recruitment and retention to the rapidly growing farm-to-table movement and pull in advocates of those programs, some of whom are already coordinating with the schools. The agriculture folks have several programs in the schools, and not just rural areas. Seek out partnerships with numerous entities that work with teachers. I’m inviting elected officials, appointed officials from the DNR and DOE, conservation organization members and leadership, along with interested citizens, to continue to engage each other and seek out those who you either weren’t sure about, assumed wouldn’t be interested, figured couldn’t possibly make it work logistically, never thought about in the first place, or who said no the last three times you asked. Let the conversations continue. Listen to and inspire each other. Then go back and keep those conversations rolling. Share them with those in your community, and ask others to help you. Send out those invitations I mentioned, and have extras handy so you can send as many as it takes. And continue being the matchmaker for all of us searching for others to help us support you in our own little ways so that together, we can all make a big enough difference to preserve Minnesota’s heritage of hunting and fishing.